A Harvard University (1965) and University of Michigan Medical School (1969) graduate, Dr. Jonathan V. Wright was awarded an honorary N.D. by Bastyr University (1993). He is a pioneer in research and application of natural treatments for health problems not requiring surgery, and in the theory and use of natural means to promote healthy aging. He and Alan Gaby, M.D., have since 1976 accumulated over 70,000 research papers concerning diet, vitamins, minerals, botanicals, and other natural substances from which he has developed non-patent medicine (non-“drug”) treatments for health problems. Since 1983, Drs. Wright and Gaby have regularly taught seminars (Nutritional Therapy in Medical Practice) about these methods to tens of thousands of physicians in these United States and overseas. In the early 1980s, Dr. Wright was the first in the United States to prescribe comprehensive hormone replacement therapy using hormones identical to those found naturally in young humans (rather than hormones from pregnant horses and/or synthesized in factories). This therapy (Bio-Identical Hormone Replacement Therapy or “BHRT”) is now used nationwide by millions. Recognized as the original developer and most experienced practitioner of BHRT, Dr. Wright is a sought-out lecturer, educating physicians in means of maximizing efficacy and safety in bio-identical hormone use. Popularizing the use of the natural sugar D-mannose for the elimination of 85-90% of urinary tract infections. He also originated effective natural treatment for seborrheic dermatitis, allergic and viral conjunctivitis, Osgood-Schlatter’s disease, and treatment which improves bone density in the large majority of those with osteoporosis. In 2013, he resurrected forgotten research and treatment protocols for the application of Human Chorionic Gonadotropin (hCG) to treat severe neurological problems. Dr. Wright founded the Tahoma Clinic (1973), where he practices medicine and is Medical Director, Meridian Valley Laboratory (1976), and the Tahoma Clinic Foundation (1996), all in Washington State. The infamous 1992 FDA armed raid on the Tahoma Clinic (“The Great B-Vitamin Bust”) inadvertently popularized the clinic and natural medicine, with Dr. Wright’s ensuing struggles (and eventual acquittal) serving as a major impetus for Congressional reform of vitamin/mineral regulation. Dr. Wright continues to be an outspoken advocate for freedom of choice in healthcare. 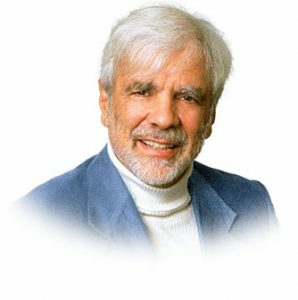 Internationally known for his books and medical articles, Dr. Wright has authored or co-authored 13 books, selling over 1.5 million copies, with two texts (Book of Nutritional Therapy” and “Guide to Healing with Nutrition”) achieving best-selling status. Since 1996 he has written a popular monthly newsletter emphasizing nutritional and naturally-based medicine with a wide-reaching distribution. Subscribe to Dr. Wright’s Green Medicine Newsletter today!